I have read numerous conspiracy based websites about the depth of the involvement of the US Central Intelligence Agency (CIA), in UAP. Few people, however, have had the opportunity to interact with CIA personnel with an interest, in this area. 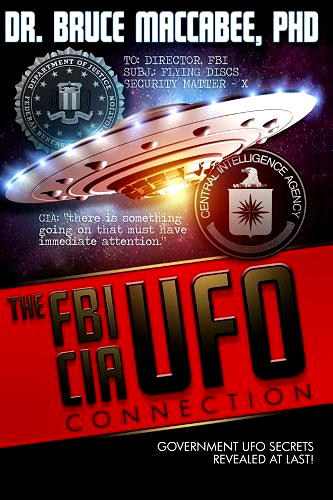 So, it was with great delight that I read Maccabee’s book titled “The FBI CIA UFO Connection.” Published by Richard Dolan Press. Rochester, NY. ISBN 978-150 231 7216 (2014). Maccabee then presented his NZ case work to seven CIA employees, one of whom was a Christopher ‘Kit’ Green. Green invited Maccabee to return at a later date “…for a more general discussion of the UFO subject.” (p.296.) Maccabee subsequently met with Green and two other CIA employees. “Kit portrayed his interest in the subject , and that of the others, as more of a personal than an agency interest.” (p.297.) A week later, Maccabee returned to talk to a radar expert at the CIA about the New Zealand case. During meetings about the LGUS Maccabee appraised Pandolfi of his investigations “…there apparently was a considerable level of interest on the part of CIA employees. About the middle of September, I showed some of Ed’s pictures to several employees and was invited to discuss this and other UFO subjects with a branch chief.” (p.332.) Maccabee then lectured at the CIA about his Gulf Breeze research. “About two months later, in June, Ron told me that the fact that Maltsev had made a series of official reports about the March 21 sighting caused quite a stir at upper CIA levels.” (p.340.) Maltsev was Air Defence General Igor Maltsev. For a six part series of posts on Christopher “Kit” Green, by my former co-blogger Pauline Wilson, please take a look at January 2011 in this blog’s archives. Part one may be found here.